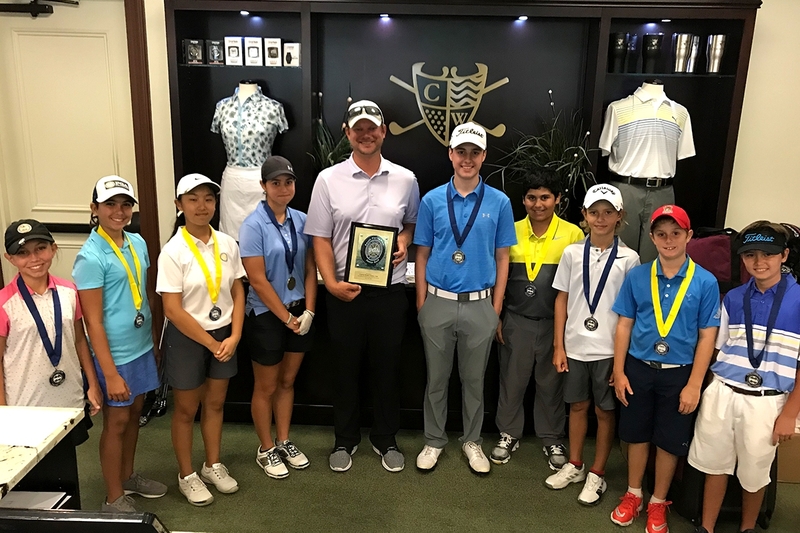 May 13th 2018 - Naples, Fla. – Today, the South Florida PGA Junior Prep Tour presented by The Honda Classic held the fifth Prep Tour Event of the 2018 season at Cypress Woods Golf and Country Club. This event featured a field of 50 players aging from 9-18 years old. With a demanding course, the juniors faced a challenging day on the golf course. Unfortunately due to heavy thunderstorms, the event was cut sort. The boy’s 9-10, boy’s 11-12, and girl’s 11-12 age divisions completed and scored for 9 holes. The boy’s 13-18 and girl’s 13-18 age divisions completed and scored for 8 holes. Tristan Wieland of Jupiter captured the boy’s 9-10 age division after taking home wins from the past two events shooting 35. In second place shooting 41 was Jupiter native Tristan Wieland. Matthew Golovanov of Boca Raton took home the boy’s 11-12 age division after back to back wins with a round of 37. Parkland native Rafael Frias finished runner-up in the boy’s 11-12 age division after a round of 44. Margate native Ethan Ashford captured the boys 13-18 age division with a score of 34. Davis Dickinson of Palm Beach Gardens took home the runner up spot with a score of 35 in the boys 13-18 age division. Kayla Bryant of Boca Raton took home her fifth straight victory in the girl’s 11-12 age division after a round of 37. Hobe Sound native Morgan Pichler finished runner-up in the girl’s 11-12 age division after a round of 42. Kira Shellman of Vero Beach took home the girl’s 13-18 age division with a round of 37. Parkland native Cynthia Liu finished runner-up in the girl’s 13-18 age division after a round of 38.